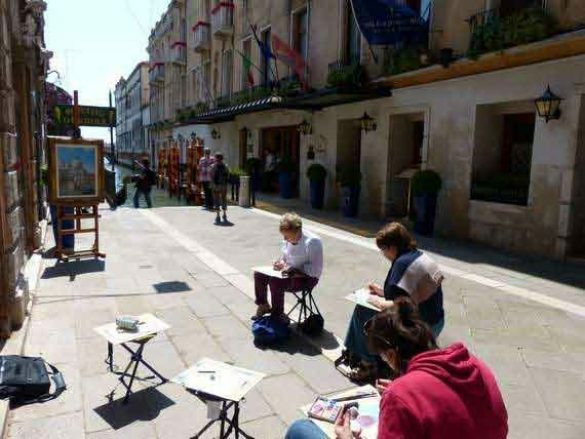 Set in the stunning Italian countryside our watercolour painting holidays offer great inspiration for budding and accomplished artists alike. With zero singles supplement our holidays are perfect for solo travellers. 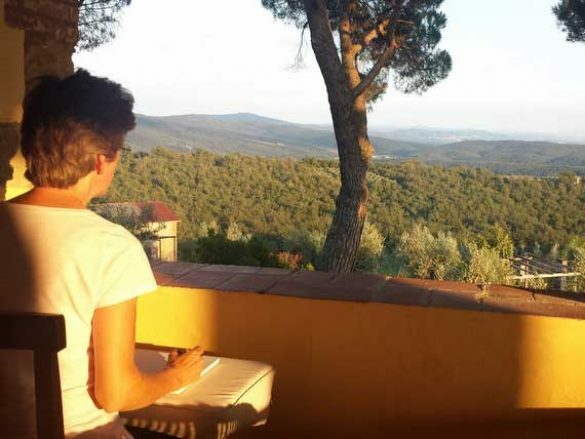 Views of rolling hill tops, ancient sites and famous Italian landmarks provide the perfect setting for a creative holiday. Want to find out more? 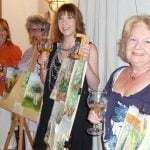 Then watch the short video and get a taste of a week-long painting holiday in Italy. What’s included in our week-long watercolour painting holiday? 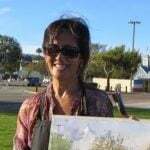 ✔ Week-long watercolour painting course with experienced tutors. ✔ All drinks, meals and excursions. ✔ Private villa accommodation in Italian countryside. 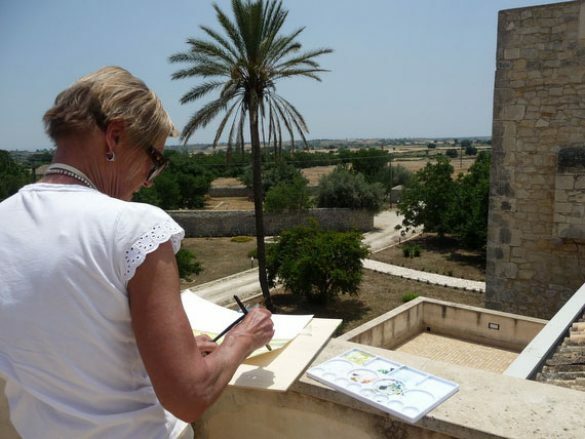 Where would you like to paint in watercolours? 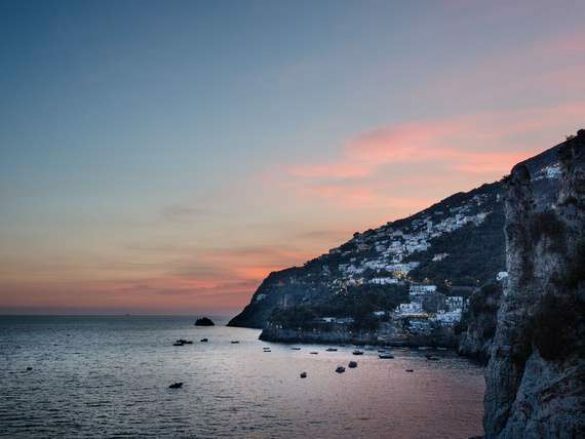 Choose from one of these inspiring destinations in Tuscany, Venice or Sicily. For 2016 we’ve also added the Amalfi coast as one of our painting holiday destinations. Click below to find out more! We don’t like to talk about ourselves too much. That’s why we prefer to let others speak about us! Here are some of the comments we’ve received from our lovely painting guests who joined us on our watercolour painting courses in Italy. Why not check them below? 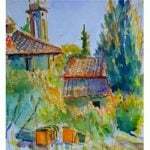 Very enjoyable experience on my Flavours: Painting holiday in Tuscany in June. I would recommend it to anyone. A wonderful wee, a good starter watercolour course, delightful facilities and comfort at the farmhouse with swimming and gardens We were wined and dined with generosity and lots of excellent excursions. Such good value and care. First class holiday with a bit of everything - intend to book again next year!